Based in London, we are classified as the remarkable Renderer of Micronizing Services. In the quality-controlled environment, our veteran professionals arrange for micronization of scraps and other material to ultra-fine particle sizes, by employing most up-to-date techniques. Also, we customize our services to match the exacting needs of our clients. Furthermore, every product is inspected before micronization to determine the suitable containment system. 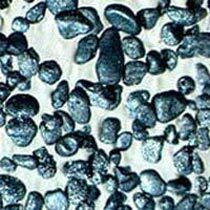 Also, we offer micronized Rutile in either 16 microns or 9 microns, packaged as per customer’s desire. For any queries, get in touch. All Rights Reserved. Derby Trading Ltd..